Time for more of that random merch! Your world will be completely covered in pony soon. First off, we have some wall stickers found at a Home Depot style store called Leroy Merlin in Poland. Each is about 40cm long according to Acid Rainbow who submitted them. The vectors are your typical ones they ahve been using for months, but hell, being generic doesn't mean you can't cover your walls in them! More can be found after the break. And for all of you clean teeth enthusiasts, Purple Tinker discovered this one dollar Pinkie Pie toothpaste/brush travel kit. We have had pony toothpaste in the past, but I don't think we have posted this one before. It looks like it goes for a whopping 1 buck, which screams clearance to me. And over at H&M, a few people sent in this charm bracelet with various pony pictures. Apparently this one has been available for a while now. I probably wouldn't wear it, but i'm sure some of you would. Thanks to Acid Rainbow and Katai for that one. 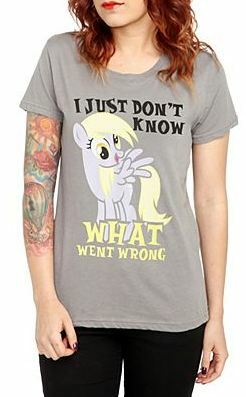 And finally, Hot Topic has started carrying a Derpy shirt. 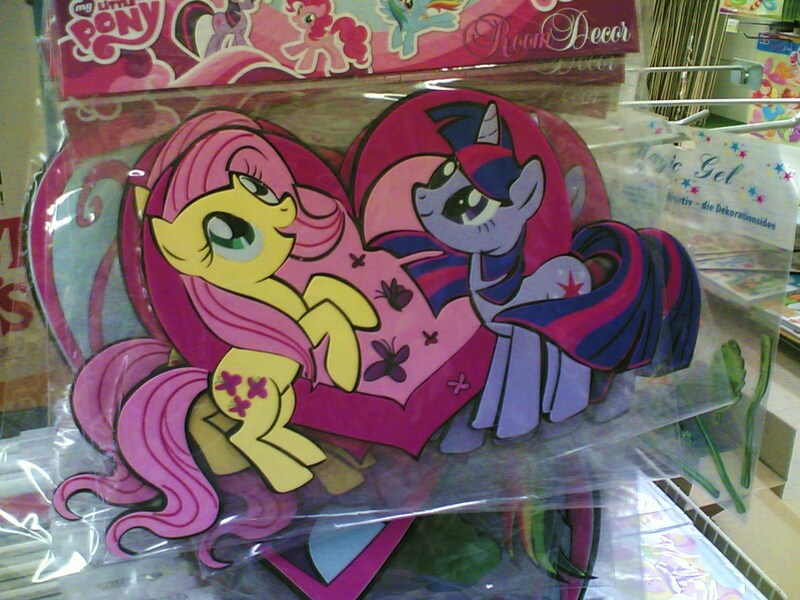 I guess they figured out which pony sells the best? She's usually the top of Welovefine's best seller area. Thanks to Ginger Snap for that one. That about covers it! 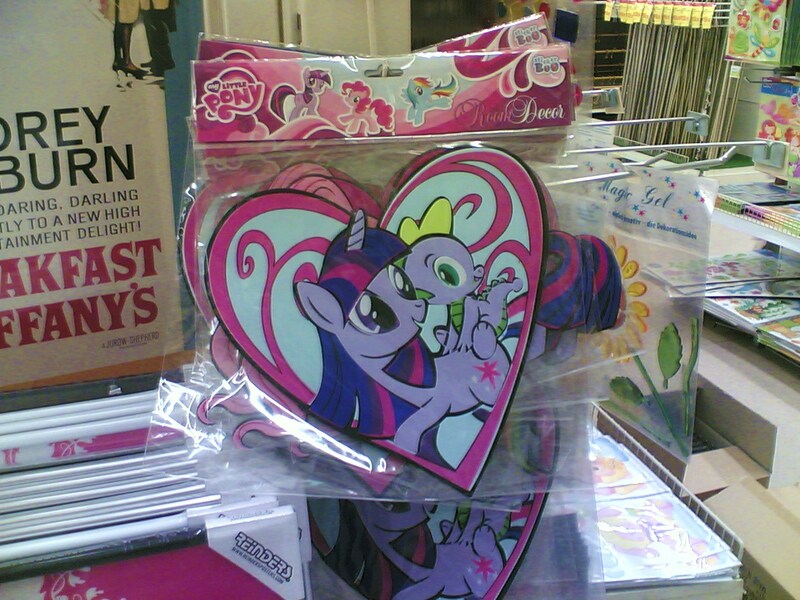 If you find weird pony merch, sent it on over to [email protected]!